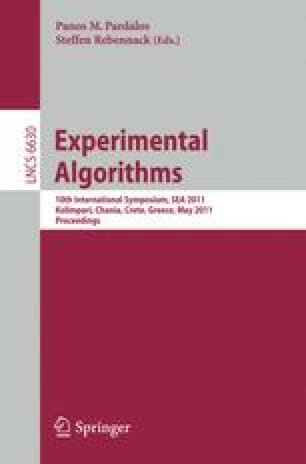 In this paper, we consider different incremental and hierarchical k-median algorithms with provable performance guarantees and compare their running times and quality of output solutions on different benchmark k-median datasets. We determine that the quality of solutions output by these algorithms for all the datasets is much better than their performance guarantees suggest. Since some of the incremental k-median algorithms require approximate solutions for the k-median problem, we also compare some of the existing k-median algorithms’ running times and quality of solutions obtained on these datasets. Supported in part by NSF grant CCF 0514528.